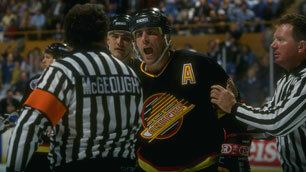 One of the more obscure stories from the 1994 Stanley Cup finals was the post Game 7 demeanour of one, Doug Lidster. 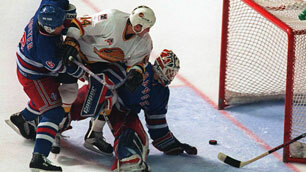 As the story goes, in 1993, after nine seasons with the Canucks, Lidster was traded to the New York Rangers. As a Ranger, he was sparsely used and only earned a regular roster spot late in to the playoffs. After Game 7, while the rest of his teammates celebrated the Rangers’ first Stanley Cup in over 50 years, Lidster stood melancholy outside the locker room while speaking to a reporter. For Lidster, this Stanley Cup victory was filled with mixed emotions. 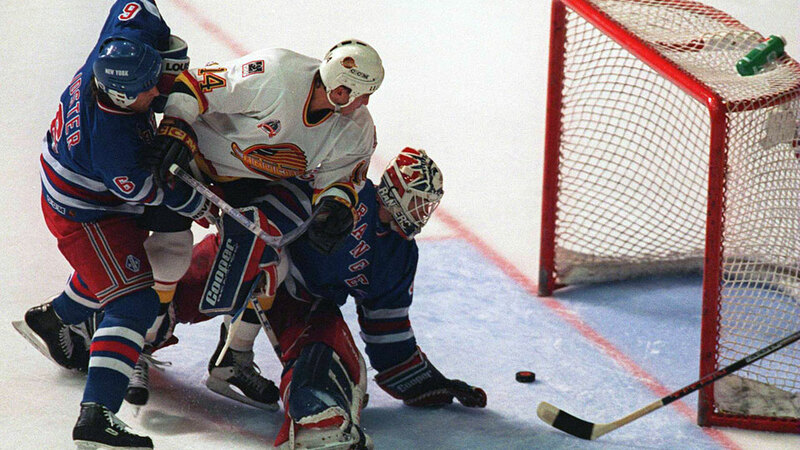 “Once we won (the Stanley Cup) and we were shaking hands, I realized that I knew the Canuck players, better than I knew my own teammates,” says Lidster. As a Canuck, Lidster was, for the most part, unheralded despite having established himself as one of the team’s top defensemen of all-time. He played 666 games for Vancouver, and still holds the Canucks’ record for most points by a defenseman, 63, in a given season. In addition to his time New York, Lidster also skated with the St. Louis Blues and Dallas Stars before retiring, as a player, in 1999. Since retiring, Lidster has chosen coaching as his vocation. In 2002, Lidster found work as an assistant coach with the Western Hockey League’s Medicine Hat Tigers. Shortly thereafter, in 2004, he was offered the opportunity to run his own team, as head coach of the Saginaw Spirit of the Ontario Hockey League. The job in Saginaw was however, short-lived. Midway through his first season with the team, Lidster was forced to resign following a controversial incident with his goaltender Mike Brown. According to published reports, Lidster poked Brown in the chest with his finger in a heated exchange after a game where the young goaltender was pulled from the nets. “If I did not resign, they would have told (Brown’s) version of the story which was not accurate. I didn’t have a chance to explain my side of the story,” he asserts. Subsequent to the turmoil in Saginaw, Lidster joined Hockey Canada as an assistant coach with the Women’s national team and helped guide them to a gold medal at the world championships in Halifax. He rejoined the team, in the same capacity, for the 2010 Winter Olympics. Today, Lidster is the Coaching Director for Victory Honda Hockey – a youth hockey organization in Plymouth, Michigan. As Coaching Director, Lidster mentors the coaching staff and spends a lot of time working one-on-one with the association’s 350 players aged 6 to 18. While he enjoys his current job, Lidster is on the lookout for opportunities in major junior, the AHL, or even the NHL. He and his wife Joanne are recent empty-nesters giving them more freedom to relocate. “Now my kids are out of the house and I’m footloose and fancy free,” he chuckles. The 50 year old Lidster is ready to add some more victories to his resume.